A4 and A5 booklets can be produced using our Digital Printer and Plockmatic booklet maker with trimmer to produce professional looking folded and stapled booklets. The booklet maker folds, staples and trims the booklets in one operation allowing large volumes to be produced in a short space of time. If you wish to print the booklets using your own machinery we will finish the booklets using our booklet maker for a nominal fee per booklet – Please contact us for further details and prices. Order of services can be produced quickly and efficiently from PDF or Word documents on various paper thicknesses please see our separate page for more information and pricing. Our folding machine can fold up to 8000 sheets per hour into various folding patterns including z folds, half folds and gate folds (many others available), we can fold several different sizes of paper from A6 to A3 (any others sizes between). This allows us to produce low to mid volume folded leaflets quickly by combining our digital printers and folding machine. If you would like us to fold your own printing please contact us for a competitive quotation. Simple corner stapling can be completed to keep documents together, we will also copy your stapled documents and staple the copies to match the originals if required. We have various size combs for small or large documents, together with plastic or card covers we can give your documents a professional look. 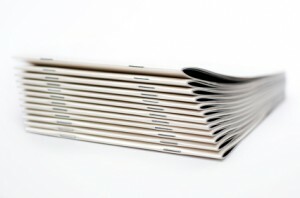 Comb binding can normally be completed while you wait however if you have a large amount of documents that require binding we may ask you to leave them with us. We can produce glued pads to use as note pads, message pads or desk pads. This service allows you to create a more professional look and also to create message pads or desk pads that suit your business. We can create pads with your company logo and address on that can be given away to customers. We can hole punch documents with either 2 or 4 holes for insertion into standard lever arch files. This can be combined with document copying to produce a number of documents the same as the original, we can also supply the lever arch files. We can print/fold and insert your information into envelopes for mass mailing. Just supply us with the addresses in a suitable format and we will do the rest, we can use our franking machine to enable the posting to be completed as economically as possible. Please contact us for further information or a quotation for any print finishing required.